Happy New Year Gates Families! 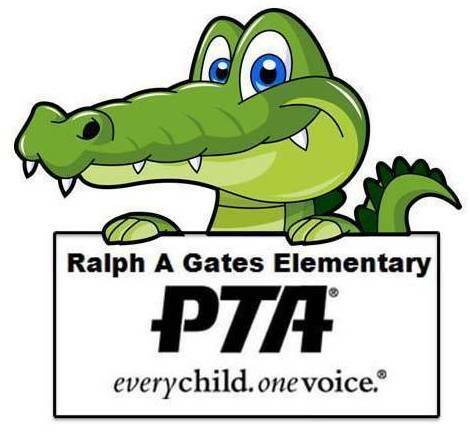 Gates PTA has also given the school $8,000 towards Kinder though 5th grade field trips and $1,500 towards 6th grade field trips. These Programs, Activities and School Support happened in large thanks to YOU the volunteers (Board Members, Chair Members, Committee Members, Teachers and Staff ) and to YOU the families who supported the Fundraisers: Takata Air Bag Recall; Back to School Parent Social; Catalog Fundraiser; Pumpkin Patch; Ruby's Dine Out; CPK Dine Out; Big Air and Fresca's Dine Out. This is a valuable program that we are proud to offer to our children. Thank you to all of the parents who came out to volunteer in the classrooms during the 1 hour lessons and huge thanks to our chairs, Katie Ryan and Bobbie Cunningham for preparing the art supplies and coordinating the classroom schedules. Featured artist is Roy Lichenstein's POP Art. Volunteer Sign Ups sent out on Konstella. Thank you to all of the families who attended the 2nd PTA General Meeting held on November 15. The purpose for these meetings are to keep the association informed of upcoming PTA events that our volunteers plan for our families and most importantly so we could share the income and expenses of the PTA. If you want to stay informed, come join us. At this meeting, representatives from the Orange County Authority taught us how to prepared in an emergency. The children had a separate emergency preparedness meeting customized for them. This is the Nominating Committee Election Meeting. This committee's objective is to fill the PTA Board positions for the 2017-2018 school year. If you want to be part of this very important committee or want to sign up to be a Board or Chair Member, please contact the PTA Parliamentarian, Francia Docheff @ parlimentarian.gatespta@gmail.com. My son and I will be graduating out of Gates Elementary at the end of the school year and moving on to Los Aliso's Intermediate but I will help train the incoming Board so that all of the awesome PTA Programs will continue for future generations. Brenda Thompson and Nancy Norris, Book Fair Chairs, introduced a Book Fest on the first night of the book fair and it was a huge success. Families received raffle tickets for a chance at 4 drawings held every half hour starting at 6pm. Our 4th graders sold hot cocoa and cookies to raise funds for their Gold Rush Event. We also had scheduled story times. Sincere thanks to our teachers who volunteered: Ms. Jaeger, Ms. Silva, Ms. Docheff and Ms. Tosches who volunteered to read for the story times. Thanks so much to Brenda and Nancy for doing such a fantastic job and thanks to all of our volunteers (committee members): Julissa Salamanca, Bridget DiRico, Eric Kaneshiro, Claudia R. Zinn, Julie Merker, Bobby Cunningham, Cindy Allen, Shea Pitlick, Lori Hall, Ambee Johnson, Jezette Luster, Yadira Velasco, Bernice Chen, Keira Merkovsky, Maria Herrera, Leslee Andre, Rochelle Ferranto, Steph Harmon, Stephanie Nix, Araba Mensah, Sonia Maceranka, Elizabeth Rose and Rebecca Lindelof. Our student volunteers were: Chris O., Vinny G., Peyton M., Cameron S., Gabrelle S., Kristen N., Sam L., Brady C., Alina S., Max F., Jesus G., Logan M., Ben J., Annet M., Viri F., Kajsa B., Eva T., Eliza T., Hazel J., Tristan F., Jorge G., Bailey H., Jennifer V. and Jorge S.. Our volunteers helped with set up, being cashiers, fulfilling orders at the trinket table, restocking books, checking receipts at the doors and helping with clean up. A lot of hours are put into book fairs which our children enjoy so much so thank you a whole bunch for dedicating time to help with this program. Our Family Event Chairs, Mark & Stefanie Nix booked a fundraiser at Big Air Trampoline Park. It was a great way for the kids and adults alike to exercise while raising funds for PTA Programs. Each $15 ticket gave back $7.50 to Gates PTA. Dolores Wirth and Rochelle Ferranto, Teacher/Staff Appreciation Chairs, coordinated a snack donation for our teachers and staff during conference week. Thank you to all of the families that "Helped Bring Joy to our Teachers and Staff" that week. We hope to do this monthly so stay tuned. Also, if you happen to come by the Teacher Work Room with all the copiers, you'll notice a festively decorated bulletin board behind the paper cutters. Thank you to Dolores and her helpers who help brighten the work room with their creativity. This bulletin board will also have flyers of current and future activities posted for PTA and A.L.L. Thank you Sonia Maceranka, Family Dine Out Chair, for planning these dine outs for us and thank you to everyone who supported them. These dine outs are nice opportunities to plan an outing with other Gates families. To give us your feedback on these dine outs send a message to fundraising.gatespta@gmail.com. Next Dine Out: Raising Cane's, February 28, Tuesday, 5 pm to 10 pm, 23971 El Toro Road, Laguna Hills, CA 92653. Just mention the fundraiser at the register and Cane's will donate 15% to Gates. Flyer to be sent out the 4th week of February. Hope you have all been collecting Box Tops especially during the break. Each Box Top is worth 10 cents and we have received a $1000 per collection period in the past. It's a super easy way to help raise funds for the school.Before you turn them in, it would be very helpful if you count your Box Tops and write your child's teacher's name plus the total number on the baggie in groups of 50 or 100 . We ask that parents who have helped run the registrations in the past please volunteer by contacting our KROC Chair, Heath McMasters @ kidsrunoc.gatespta@gmail.com. Kids Run the OC Final Mile Event is Saturday, May 6, 2017. Registration fee is $29 per child plus optional $5 donation for snacks. Scholarships may be available. Please ask at time of registration. Flyer with more details to be sent out the week of January 2. This will be Gate's 13th Annual Astronomy Night. It is a well attended event where everyone can learn a lot about the night sky. Needed: 2.0 Liter empty soda bottles for air rocket and black hole crafts. Bring to front office for PTA. Special Shout Out to Bernice Chen and her daughter Isabella for making the beautiful posters around campus that publicize upcoming PTA events. They make an awesome team. The deadline is extended to January 31, 2017. For every Honda or Acura vehicle that completes a Takata Airbag Inflator Recall replacement through this program, Gates PTA will receive $25. This is a serious safety issue. Please help spread the word. Click on the image on this website to see if a vehicle is on the recall list: www.hondaoutreach.com. Make sure that you select "Ralph A. Gates" as the organization. Call Honda at 888-234-2138 for any questions.